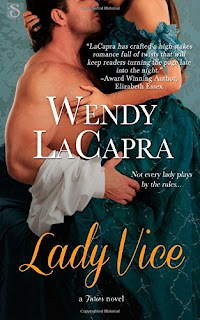 I knew I wanted to read Wendy LaCapra's books as soon as I read how she began reading romance. Someone who had discovered Victoria Holt by sneaking into the adult section of the library (as I did at age 13) had to be a kindred spirit! 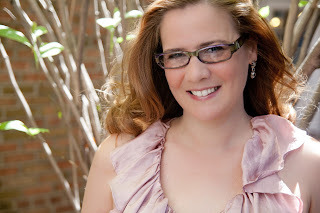 From that moment when Wendy discovered Holt and Jane Aiken Hodge, she dreamed of creating fictional worlds with as much richness, intrigue and passion as she found within those books. Her stories have placed in several contests, including the 2012 Golden Heart®. She lives in NYC with her husband and loves to hear from readers. Welcome, Wendy! I’ve enjoyed your Furies and have been looking forward to the release of Duchess Decadence. Please tell our readers what they can expect from this book. Thank you, PJ! That’s a pleasure to hear! Duchess Decadence, the third book in the Furies series, will see the ladies known as the Furies band together to protect a duke, to stop a criminal and, most importantly, to help one of their own rediscover love. book. They are married but have been estranged for four years. What is it about these two that convinced you they deserved a second chance at a happy ending? When I started the Furies series, Thea and Wyn walked onto the ‘set’ already estranged. The very first image I had was the duchess’s portrait, sitting on the floor on the Duke’s study dusty and uncelebrated, but still there. Even though the cause of their estrangement seemed insurmountable to me, their connection ran far deeper than either could articulate—and that depth was the reason they had to find their way back together once again. I love the strong bond among the three heroines of this series. How did that friendship drive the course of each of their stories? On their own, Lavinia, Thea and Sophia were surviving, but struggling. Together, they gave each other strength. In Lady Vice, Thea and Sophia are the first to hear Lavinia’s deepest secret, and their understanding and sympathy give her the ability to move beyond the residual guilt created by poor decisions. In Lady Scandal, when Sophia is at an utter loss, Thea and Lavinia are able to listen & provide a new perspective, which renews Sophia’s willingness to fight. In Duchess Decadence, Lavinia and Sophia share their experience and their resources with Thea. In an age when there was little information available to women, their shared experiences give Thea the opportunity to grow closer to Wynchester. Separately, their shared resources bring down a traitorous plot. This is my favorite time of year. Cooler nights, changing leaves, college football, Pumpkin Spice cream cheese spread; they all make my heart happy. What do you look forward to in the fall? Fall is my favorite time of year, too! Harvest festivals, freshly picked apples, boots, brisk weather and, for me, a general sense of quieting down & renewal. Winter is coming…which means long dark nights with time for writing and reading! 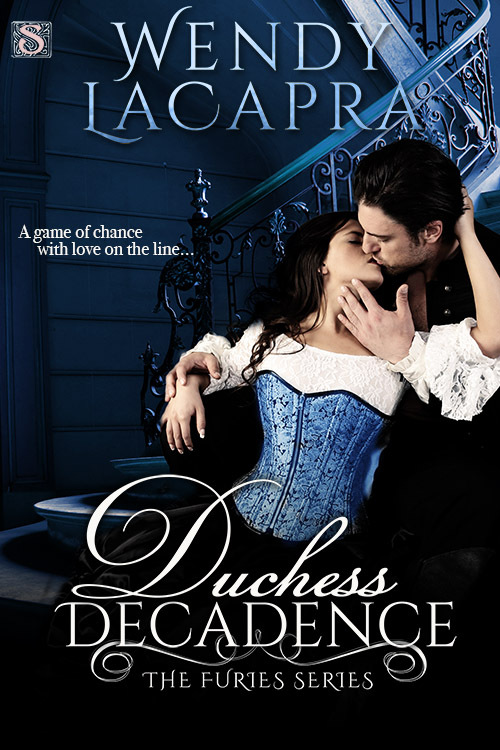 Speaking of long dark nights and reading, Duchess Decadence is a book that kept me reading late into the night. What’s the last book that kept you reading beyond your bedtime? Oh my—thank you so much for the compliment! I’ve had a lucky reading streak. The last three books I read ALL kept me up well past bedtime—The Secret Heart by Erin Satie, a lovely, complex, poetically-written historical romance; It Had to Be Him, by Tamra Baumann, a fast-paced, funny contemporary with a good bit of suspense and a great deal of heart; and When a Scot Ties the Knot by Tessa Dare, historical romance perfection, inconceivably including love-mad lobsters. I share your enjoyment of Tessa Dare's book but I haven't read the other two. Thank you for sharing the titles with us! What’s next from Wendy LaCapra? That sounds exciting! I wish you all the best with both projects. Thank you for answering my questions, Wendy. Would you like to pose a question for our readers today? The friendship of other writers keeps me writing. In fact, friendship has been the impetus for getting me up literal and figurative mountains of all sorts. Can you tell me something you’ve done with a friend that you probably wouldn’t have attempted on your own? I'm so excited about these books. I've a huge weakness for historical romance. You had me at Jane Aiken Hodge, whose name I rarely see mentioned in romance fiction circles in 2015. I loved her books, particularly Greek Wedding which I reread again and again and again. I also enjoyed her books about Jane Austen (an interesting but flawed book) and Georgette Heyer (a fascinating book). And I'm definitely a fan of series in which female friendships figure prominently. As for things I would never have attempted without the support of friends, my ten years of blogging and reviewing would never have happened without my friends. Wonderful to be among Jane Aiken Hodge & Victoria Holt fans. I just love them both & I'm happy to see some of the Hodge books have been digitized! Congrats on 10 years of Blogging! You are a new to me author but your books sound like something I would really enjoy. I am not much of a driver so I've gotten to do so many things because my best friend doesn't mind doing a lot of the driving - from visiting historical sites to some fun casino trips and shopping trips and so much more! And she just retired so who knows what's in our future lol. How wonderful your road trips sound!! Here's to friendships and explorations and serendipity! I started reading the first one today and it is great! It seems to be a little different than the typical HR, which I appreciate right now. Emily, I found all three books in the trilogy to be refreshingly original. Hope you enjoy them!